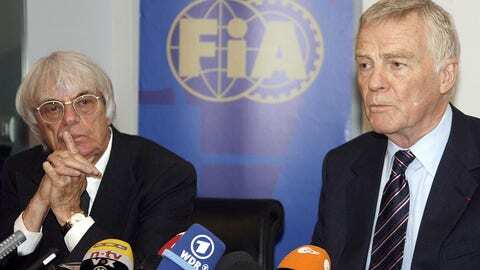 Max Mosley thinks F1’s new owners have made a mistake by dumping Bernie Ecclestone. Although given the honorary title “chairman emeritus,” 86-year-old Briton Ecclestone has been effectively ousted and replaced by Liberty Media’s Chase Carey and Ross Brawn. For years, Ecclestone and Mosley was a formidable double-act, and now the former FIA president thinks Liberty has erred in sidelining his long-time friend. “I would never have dropped Bernie in the way Liberty Media have,” he is quoted by the respected F1 correspondent Roger Benoit. “It would only have been necessary to keep him doing what he’s really good at: negotiating with the organizers and the promoters,” Blick newspaper quoted Mosley as saying. “Then, the Americans could concentrate fully on what has been neglected to date: the digital side of the business. But Liberty has bought everything and believes it can make it better, so let’s wait and see,” Mosley added.